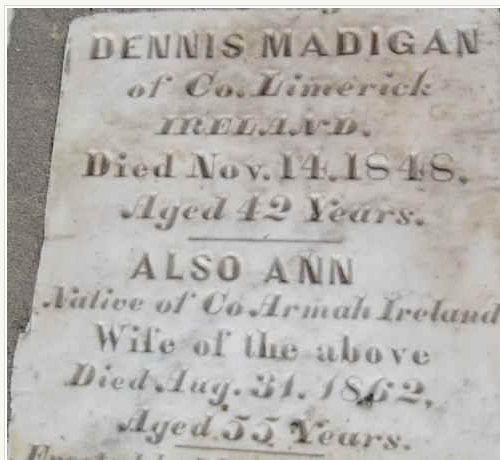 We can trace the Madigan connection to 1800 in Ireland where Denis Peter Madigan who was born circa 1810 marries Margaret Philbain. There are branches of the Madigan tree to be found in Rosscommon, Clare and Limerick. All these branches have Denis offspring. Like the Stanton family the Madigan’s also left Ireland for Edinburgh circa 1845 and they too settled in the Cowgate area of the city. They had a large family. Dennis born on 27th December 1859, Thomas in 1861, Helen in 1864, Maggie in 1868, Peter born on 7th July 1870 and Catherine born on 8th November 1875. There was another Denis born in 1873 and another Peter born in 1878. They would have been named after their deceased siblings. Our direct line Catherine married Edward Stanton again in St. Patrick’s Church in the Cowgate on 26th July 1894. She died in 1956. Between 1834 and 1846 there surely would have been more children. But these are lost in the passing of time. The names Madigan and Maddin in Ireland are derived from the native O’Madain Sept who were located in County Galway in the west of Ireland. They also settled in county Rosscommon, and that is where our branch of the Madigan family were from. Roscommon comes from the Irish ‘Ros’ meaning a wooded, gentle height and ‘Comán’, the name of the county’s famous saint and the first bishop of the see. Rathcroghan was home to the Kings of Connacht and then to the High Kings of Ireland. Having driven through the county on our way from Mayo to Dublin I can only say how beautiful the countryside is here. The houses are all in pristine condition and there are horses grazing in the many fields. It is really lovely. There are also the famous carved Leprauchan Standing Stones which stand proudly in one of the green fields. Cavehill (Irish: Binn Uamha), historically known as Ben Madigan (from Irish: Binn Mhadagáin), is a basaltic hill overlooking the city of Belfast in Northern Ireland. It forms part of the south-eastern border of the Antrim Plateau. It is distinguished by its famous ‘Napoleon’s Nose a basaltic outcrop which resembles the profile of the famous emperorand is said to have inspired the famous novel Gulliver’s Travels. Cavehill is also the name of an electoral ward in Belfast. Hi Linda and thanks for taking the time to comment. 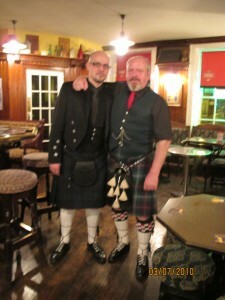 As our branch of the family came mostly to Scotland I have no research of the Welsh or English branches of the tree. But I will keep my eyes open for any Williams that may crop up. It is not common in our branch.